Live music, for free, every Wednesday, Friday & Saturday. Real Ales, Friendly Barstaff,Live Music and A Great Atmosphere !!! "With live music entertainment every week on a Wednesday, Friday and Saturday, there really is something to keep everyone entertained. During the summer months the pub's beer garden is a fabulous place to relax with a refreshing drink and light bite to eat from the bar. For all those sports fanatics there is Sky Sports and a Racing Channel available on two televisions throughout the pub, one of which being a big screen. 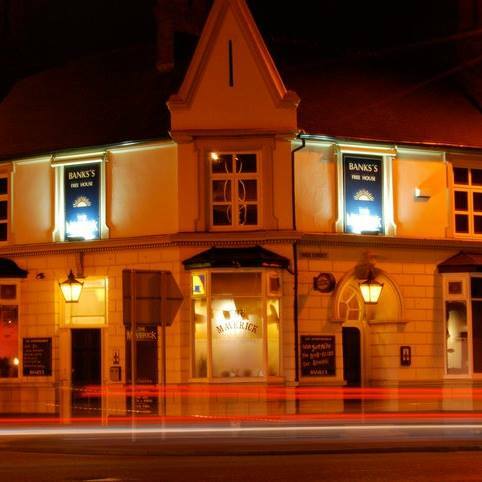 So if its a lively, warm and welcoming atmosphere and a great night out you're after, then head to the Maverick."